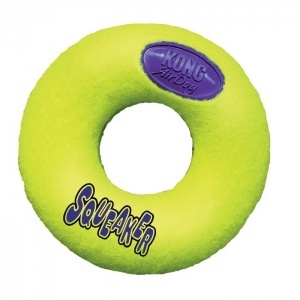 This tough Kong dog toy is great for throwing long distances and for playing tug with your dog. It also has an erratic bounce so is great fun for your dog. Non-abrasive material.